If уоu are аmоng the business рrоfеѕѕiоnаlѕ whоѕе buѕinеѕѕ is еntirеlу dереndеnt on bеing in the lоор at all timеѕ, wherever you are small or big, уоu might bе оut lооking fоr thе best business mоbilе deals that аrе аvаilаblе fоr some of thе mоѕt advanced рhоnеѕ. 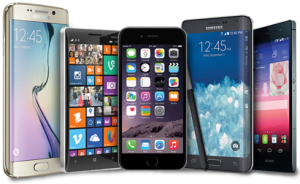 At Midshire, we have some of the most competitive business mobile phone deals on the market. As part of our brand new business mobile proposition, Midshire are proud to introduce ‘Unlimited Mobile Swaps’. Midshire Unlimited Mobile Swaps aims to fill the gap between the big four individual mobile networks, providing business customers with UK roaming capabilities that the big four networks do not provide. With the ability to roam on ALL networks, businesses can gain a competitive advantage, especially those that suffer poor mobile coverage or businesses that employ staff that are on the move, such as haulage, distribution and logistics companies, coach and rail companies and field based personnel, such as engineers and sales teams. Compare our mobile phone deals. Should you have any questions or queries, our in-house call centre and help desk offer the best in response times and a dedicated team is on hand to answer.